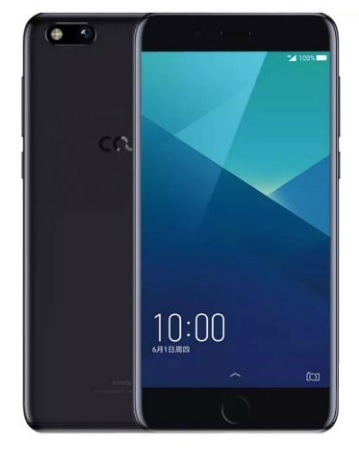 Chinese smartphone company Coolpad has added a new budget smartphone to its portfolio by launching the Cool M7 smartphone in the home country. The smartphone is now up for pre-orders on JD.com at price tag of CNY 2,699 (roughly Rs. 25,900). The sale will start in China on August 26. The handset features a slim metallic unibody design, a physical home button on the front which also acts as a fingerprint sensor. There is a USB Type-C port along with a 3.5mm audio jack placed on the top edge. The volume rocker and power keys are on the right. Android 7.1.1 Nougat running Cool M7 comes with a Snapdragon 625 octa-core SoC and its 5.5-inch (1080×1920 pixels) full-HD display is protected with 2.5D curved glass. Other hardware architectures include Adreno 506 GPU and 4GB of RAM. Inbuilt storage is 64GB, the main (rear) camera is a 12-megapixel Sony IMX362 sensor, while the selfie (front) camera is 13-megapixel with f/2.2 aperture and 79.8-degree field of view. The Cool M7 packs a 3200mAh battery. 4G VoLTE, Wi-Fi 802.11 ac (2.4GHz/ 5GHz), Bluetooth v4.2 and GPS + GLONASS connectivity options are also available. The company has not made any announcement regarding on or when the Coolpad Cool M7 will be released in other countries, including India.